Welcome to Cincinnati, a city of rich culture, constant growth, and endless entertainment. We do what we love! P&G has been proud to call Cincinnati, OH home to its World Headquarters since 1837. The city of just under 300,000 people is filled with opportunities for both young professionals and families, offering affordable living with access to world-class arts, culture, parks, and entertainment. The region has something for everybody, from quiet neighborhoods in the hills of Northern Kentucky to loft apartments in the heart of the Over-the-Rhine nightlife. For a closer look at the Cincinnati and Northern Kentucky area and news, check out Soapbox and NKY Thrives. Forbes ranked Cincinnati as the fifth-most-affordable city in the US. with cost of living at 11% below national average. Kiplinger named Cincinnati one of the "10 Great Cities for Young Adults"
Use the interactive map below to explore Cincinnati neighborhoods. Select neighborhoods to view them on the map, and click the icon on the neighborhood to learn more, view photos, and visit the neighborhood website. Filter each neighborhood by city region by using the buttons below. 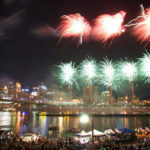 This is just a sample of entertainment featuring our most popular events in Cincinnati. 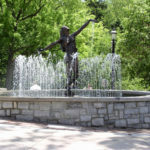 Check out Cincinnati.com for other great events and things to do throughout the city! Here is a sample of popular attractions and points of interest in Cincinnati.